I feel so blessed to be here. I’m really, really reveling in how great it is to be alive and how blessed and lucky I feel to be with you wherever you are at the moment. We’re connected through this podcast, connected through this Conscious PIVOT community and that’s a gift. That’s a gift in my life. I hope it’s a gift in yours as well. I’ve got an incredible guest on the show. I’m going to introduce you to him but I’ll say a couple of words first about him and then he is going to tell us about his pivot journey. I know that so many of you out there are deep, deep, deep in your pivot. Deep into the midst of it and sometimes it’s the muck and sometimes it’s the mire and sometimes it’s being on top of a mountain feeling like it’s the greatest thing in the world that’s ever happened. That’s the nature of pivoting. That’s the nature of making changes in our lives based on what our heart is directing us to do often and that takes courage. It takes guts. It’s takes fortitude. It takes resilience. It’s not for the faint of heart, that’s for sure. It’s for people who love their lives and love to get after it. This gentleman that I’m going to share with you, he gets after it. One of the things that I really love about him is his energy, his enthusiasm, his authenticity. I’ve gotten the chance to work with him so he is not a stranger to me. He’s actually a friend, he’s a colleague and he’s somebody that I’ve gotten the chance to spend some time mentoring and working with directly related to his pivot and in particular, his getting after the speaking piece of his business model that he wants to work on, public speaking. That’s something that terrifies so many people, the idea of standing up in front of a crowd of people and speaking and sharing some information. It is truly such a transformational opportunity, an opportunity to help people change their lives and at the same time build relationships that promote and assist in the development of your business. This gentleman is no exception to that. He’s working on this deep, deep, deep. His name is Brett Grossman. He is a father like me, a husband, a daddy, a trainer, a serial entrepreneur and a financial services expert. He resides in beautiful Philadelphia, Pennsylvania. Welcome to the show, Brett. Thank you so much, Adam. I appreciate all the kind words. I’m grateful to be here. Share a little bit about your pivot. You and I know each other a while now and I met you at a business conference about a year and a half ago or so. You were going through a bit of a hard time if I recall right around then or just coming out of a pretty tough experience. Without naming names or anything like that, share a little bit about what was happening in your life back then and then we’ll get into what you did about it. If we went into the time machine and went back, it was early February of 2017 exactly and I was going through this storm. I think we can all relate to going through storms and trials and tribulations, not in a personal way but more so from a business aspect and I was questioning a lot of things about myself, “Why I was here? What I was meant to do? What message I was meant to deliver to others?” For the last six and a half years, I’ve been operating out of the financial services sector and I had a successful business that was operating in several states. We had a nice group of individuals and one thing led to another and two personalities collided. The next thing I know, I had a business taken out from under me. Without the right type of legal agreement, which is entirely on my hands that wasn’t in place, I found myself at a crossroads. That crossroads was, “Do I continue to follow on the path of where I was going? Do I continue to follow on the path of being in the service-related industry and serving others and pouring into others my knowledge or do I just do something different? Where do I go? What do I do?” When I met you, one of the things I said to you was, “What do I want to be when I grow up?” As a grown man, as a 40-year-old man, I looked at another man and said, “I don’t know what I want to be,” in a humorous way. I remember you looked at me. It was one of the first interactions we had and you said, “It’s not about what do you want to be when you grow up. You’re here. You’ve arrived. Let’s figure out maybe where to go from here.” That was one of our first interactions. We often think when we’re having a struggle or a challenge, that there’s a little hole in the boat and we think the boat is sinking, whether we’re going to jump ship, get off the boat entirely. I think that’s a bit of a fallacy. There are other areas where that’s perpetuated that we think to make a positive change, change something in our career trajectory or the business trajectory that we’ve got to do something pretty radical. That’s definitely not the process that we’ve come to share with people. We got started in the PIVOT process. You and I had some conversations after that and ultimately, you became a part of the PIVOT community and we went through a process together. What was it like getting started with that PIVOT process for you? It doesn’t matter how many times you get hit but how many times you get back up. It was an exciting journey. It was something that I needed to allow myself as a living, breathing human being, for the first time to really be vulnerable. I think when any time you’re in a state of you don’t know where the direction of your career is going. You’re questioning things about you. You’re questioning your leadership capabilities. You’re questioning things that you thought you were actually starting to do well and then all of a sudden everything just came crumbling down. It’s that old Rocky analogy of, “It doesn’t matter how many times you get hit but how many times you get back up.” Being from Philadelphia, I make reference to Rocky. Truth be told, for me to enter into that group with people from several different countries, people from all over the country, every Tuesday evening for about eight weeks straight, it was more about, “If you want things to change, Brett, then you need to be willing to change things about you.” I accepted the challenge even though you weren’t challenging me. You had just asked me to be a part of the PIVOT group and I gladly accepted and I made a note on my calendar every Tuesday night. It didn’t matter what was going on, I needed to be committed to that course. You may remember, you already had a plan put out for the calendar but I was in Mexico with sixteen other people on a trip. We were on a bus ride back from the ruins and some the new places that we had been on. We were on a two-hour bus ride and I plugged into that Zoom call for the first time. I was committed. 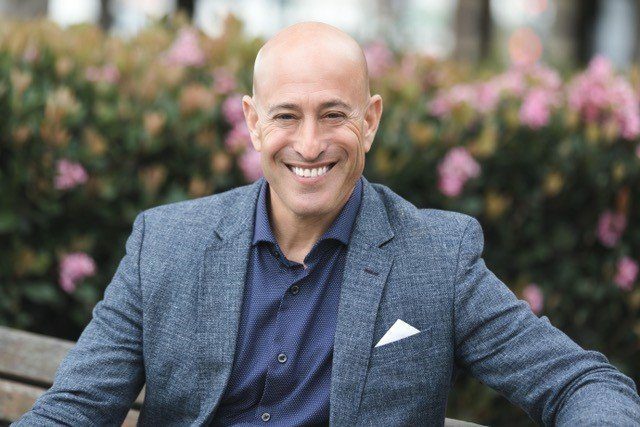 I said to myself, “This gentleman, Adam, he thought enough about me to invest in a conversation with me there at that business exposition and I felt there were some synergy there and we had clicked.” I automatically just felt compelled to want to learn more from you. It took hold of me the whole PIVOT process, your book, the language behind it, the thought process behind pivoting. We’re all pivoting. Every single day I think there is a pivot that happens. Do I want to do this today or do I want to do that? Do I want to speak to this person or do I not? Do I want to pursue this opportunity or do I want to take a step back and maybe go in a different direction? We’re constantly pivoting. We’re constantly re-evolving ourselves. That was something that from a vulnerable state, I needed to just let everything go, be open-minded, be coachable and absorb all the information that you were starting to pour into me, which for me was a lot of clarity. It was a lot of love. We might be behind a TV screen or a computer screen from all over the country but you could truly feel and sense how much you really wanted to make an impact. Not just in my current situation but the other seventeen people in that group. You mentioned something that I think is really important and it’s a great reminder for me and for other people too, which is that there’s a difference between being committed to something and being interested in it. I’m interested in a lot of things. I’m perpetually interested in things whether it’s music and art and sports and business and people in different walks of life and travel and all that. There’s a difference between what you’ll do when you’re interested in something and what you’ll do when you’re committed. What you described was commitment. Being on a vacation, being in Mexico and finding a way to get on that Zoom and be part of it. When you’re interested in things, you’ll do what’s convenient. That’s easy. We’ll all do what’s convenient but when you’re committed to something, you’ll do what’s inconvenient. You’ll do the things that are tough. It’s definitely on the list of top things when it comes to what will produce a new result in your life. Call that success, call it whatever you want but producing a new result is going to require a level of commitment. That doesn’t mean it’s easy either. Speaking of not necessarily easy, if you go back to that point, what was the hardest part of getting started in that PIVOT process? Finding the Real Me Again: It was about breaking down that wall and being vulnerable but leading with my heart more or less. For me personally, I’m very disciplined. I have a certain disposition about me. Not necessarily in a bad way but maybe not necessarily sometimes in the warmest. It’s more business-like. I needed to let go of that character. I needed to let go because of whatever has happened in the past, there is that guard that comes up. For me, to answer your question was letting the guard down. Being open to things like meditation for the first time, being open to really leading with my heart as opposed to my instinct, which is my mind and leading with really what I really wanted to say, what I really wanted to do, what I really wanted to share with people. I never really did because of that wall. It was about breaking down that wall and being vulnerable but leading with my heart more or less. It’s reaped the reward for sure. I’ve lived a significant part of my life with the guard up and not very open and I didn’t grow up in an environment with “personal development or business development.” That wasn’t discussed. My dad was a civil servant and almost like a survival environment, an incredibly loving, caring environment. In fact, he is the person that really taught me the value of being of service. I know what it’s like to not want to be vulnerable. I remember when I was younger that I got bullied and part of the way I defended myself after that was to make sure nobody ever got too close or could get inside my kitchen as what my dad would say. Get in that tight where they could harm you. You facing that was a catalyst. I know there’s a part of the program where we specifically worked on that letting go piece. Did you reach a positive tipping point at some stage and what did that moment feel like for you when you hit that tipping point if you recall? There wasn’t a specific moment but I am a creature of habit. I do triathlons and things. I stay in shape. I try to eat right the best I can. One of my rituals is to go on an evening walk. In the summer times in Pennsylvania, it gets really warm. It’s a great time to go for a walk. Two days ago, it was minus five degrees out. It doesn’t matter. Scarf, hat, gloves, 7 PM, it’s time to go for a walk. During one of my walks at some point in the process, I had remembered thinking to myself I’m beginning to notice a change. It really started to come through when dealing with my clients and some of my personal relationships. What’s interesting is that we locked in from a business perspective, yet I started to see the change is happening on a personal level. That to me I thought was really cool. I thought it was a cool to see some of the relationships. People are meant to be in your life for a reason and if they’re not lifting you up, it’s time to let them go. I really started to distance myself from people who I felt like we no longer had that synergy. I wanted to start to bring in more people around me that were attracted to me for who I was and not for what I could do for them. I just started to see these trends starting to happen. I started to see the trends in my personal relationships, my conversations and my attitude. Everyday different little incremental things that were happening. For me it wasn’t a single moment, it was several moments over days and weeks and months in time that I started to see the progression of what I was learning and then implementing into action sometimes from the subconscious. People are meant to be in your life for a reason and if they’re not lifting you up, it’s time to let them go. Did you start to notice some things that were changing about the way you were showing up in regard to either relationships or as you say in the business context? Did you notice changes? I did. From a business context, I started to see the conversation that I was having with my clients was just smoother. I’ve had the ability to connect with people my whole life. It’s never been an issue being in front of strangers and making the blue-collar guy when I walk in who’s got his arms folded, “What’s this kid here to sell me?” to his hands down, “Can you I get you something to drink?” Then before I’m ready to walk out the door, “You want to stay an extra five minutes and have a glass of wine?” You could see the progression just dealing with the clients. That was one thing from a business standpoint that I really started to notice along with the personal stuff right away. It was the delivery of how I was delivering the information, how I was asking my questions but more importantly, how I was making other people feel. You brought it up, the business piece of it is so important for all of us. The money and the business part is what is often giving us the freedom to do other things too. What kind of results do you say that you’ve gotten out of the process? This PIVOT process, it takes you on a bit of a journey and you start notice things and that’s what I’m hearing you say that things were changing inside and out gradually. What are some of the results in the business space and even in the personal area that you think you would attribute directly to the PIVOT process? Number one is if I go back to the original time that we met, I had an organization, a team, a business, a living, breathing entrepreneurial endeavor that was running like a locomotive at the time to be quite frank. That locomotive hit a wall. It all went away. I decided my family still needs to live, I’m going to need to step up and get out there and get in the trenches. Point number one, I started to have some of my largest production months of my career in the financial services arena. I had some of my largest production months. There was this month, in particular month of June where to be specific, my wife and I, we needed to come up with roughly $25,000. We were going through a real estate transaction, we needed $25,000. Outside of paying our bills and keeping the kids in camp and doing all the things and vacation plans and all the great things that we were continually doing, I was able to go out there and literally hit the ball out of the park every single time I went out. Not only did we come up with the money but I over extended what I was meant to do that month. It was at that moment moving into that month that I realized, “This is all really starting to hit me.” Maybe that was the moment that it started to hit me. Everything that I have been working towards on those Tuesdays, the assignments in between, the accountability partners, things that I was working on personally, it all really started to come to fruition. That was number one. The second point was that some of the prior business relationships that I had had over the last few years, it was amazing. It’s the law of attraction. There were individuals who literally were ringing up my phone and letting me know that they wanted to come back and work with me. They were very apologetic for some of the things that they had judged me by and some of the things that secondhand that they were hearing that they believe someone else who wasn’t as credible over me. They were just very apologetic. It was amazing. Every single week, it was a new person over and over and altogether, there was about seven or eight. A guy I hadn’t talked to in five years called me out of the blue. It was the most amazing thing. What you’re talking about requires a lot of commitment. Was there something that helped you to stay committed and accountable? What was that? In my own business experience, any great results I’ve had has always been the result of a lot of focus and a lot of really staying on point. What was it that helped you stay on point, stay committed and accountable? As easy it is to do it, as easy it is to not do it. A simple answer: Adam Markel. I’ve had mentors throughout my business career; guys that had helped me and teach me how to be good in front of the room and how to speak in front of small audiences, maybe in living rooms and hotel ballrooms and things of that nature. The mentorship, and it wasn’t a direct mentorship because we were in a group for so many weeks, it was following what you were saying almost to the tee. It was very easy to not do the assignments. Because no one is going to say, “You didn’t do it.” As easy it is to do it, as easy it is to not do it. There were certain things that I was watching and seeing that I just felt, “This is something that is very important to me, but it’s also very important to the person who’s delivering the information to me because if it wasn’t, why would they be doing it?” That was something that resonated with me. Your wife, Randi, just watching the interaction between you, your family, that to me was extremely important. Being a father and a husband, family is top priority in my list. It was just different things like that that really hammered home with me why I was doing what I was doing. The answer was because of what you were showing me. Thank you. I want to receive that because it was such a beautiful gift and a compliment. There are these assignments and things that you were doing and it’s not making a person wrong or bad if they don’t do the assignment. I guess the evil plan involved in the pivoting is that we have you grouped up with other people in the process because there is that accountability. I’ll just give you an example for myself. I created a new ritual and you mentioned rituals and that’s a big component of this PIVOT process. I get up about two hours earlier that I’ve been getting up. I’m in the gym before 6 AM and I’ve got a partner that meets me there. We are on the elliptical and then we’re doing free weights and I’m in the pool and the sauna and then do a little reading and some spiritual practice and head home all in time to get my day going just when I used to get my day going. That’s a new ritual that required accountability and that’s why I’ve got a partner that meets me there. It’s the same thing in this process. You had partners each week, did you not? Finding the Real Me Again: I took your course as serious as I do my own personal business. I enjoyed it. As easy it was to blow someone off and say, “I can’t meet you Tuesday at 12:00.” I took your course as serious as I do my own personal business. It’s how I approached it. A lot of the partners wanted to do calls over the phone and I wouldn’t allow it. I made it a priority that every time we were going to meet, we were going to meet through a Zoom call, face-to-face because I wanted to be able to connect with people. I felt like it brought me back to that vulnerability stage. If I’m going to connect with this stranger who I’ve just been seeing on Tuesday nights and now we’re going to get-together for 30 minutes on a Tuesday afternoon, I want to get face-to-face. I want to get eye-to-eye. I want to know what’s going on in your life. I want to know why you’re putting those answers down to those questions. A lot of times what I found was, is I found myself as the coach in more cases than none with a lot of the folks that I was accountability partners with. I found myself just instinctively coaching them. Not because I wanted to, it was just what they were telling me. I felt they needed just a little tweak or a little direction and the feedback was amazing. As much as they weren’t expecting it, I wasn’t expecting it either. This is a pivot thing that’s happening all the time. We don’t pivot once and we’re done. It’s a series of pivots that’s daily even. One of the things that you are heavily focused on and getting results already is in the area of training and teaching from a stage platform. It’s interesting that you took up that position in your accountability groups, that you became coach and trainer in those interactions. Did that inform or confirm let’s say any of what you are feeling on the inside that maybe you wanted to pursue the speaking and training from stage piece of things a bit? It brought my confidence back. Going back to February of 2017, I felt like a shell and I had questioned things that I had been doing over the past few years. I was questioning my confidence for the first time ever. I was questioning whether or not I could speak, whether or not I was delivering the right message. Was I the right leader? Someone once told me, “Would you follow you?” It was always something that stuck with me, “Would I follow me?” I always felt like I would follow me. Then there became this time when I was questioning, “Would I follow me?” It was interesting and it did. It started to chip away that uncomfortableness that I was having and it brought me back to reality. That’s really what that part did for me. It started to rebuild the confidence for sure. I know you’ve said a bunch about this as well. 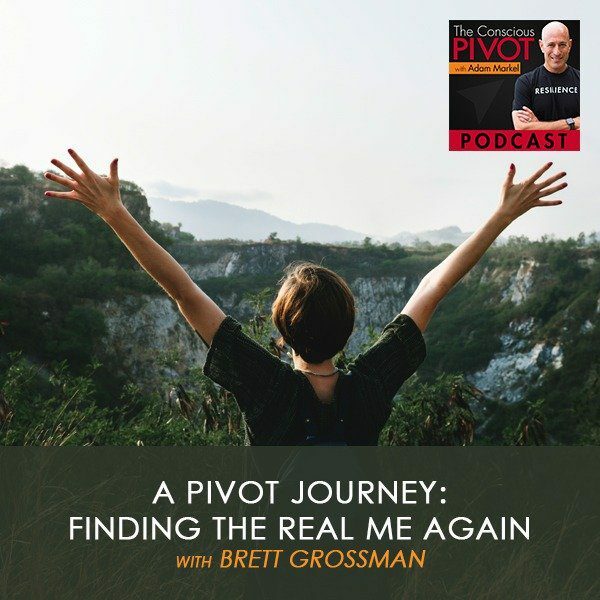 Is there anything more you want to say about where you are today either on the personal or the professional side that involves using a process like PIVOT? We’re talking about pivot obviously. The point here is that you made a serious commitment to your growth at 40 years old and I did the same thing a little bit later on in life. The truth is I was further down the road in finding that I wanted to get off. I wanted to take an exit ramp and I was traveling down that road further. The analogy that sometimes is used is climbing a ladder and spending a lot of years and a lot of time climbing a ladder. My ladder happens to have been in the legal profession and you get to a pretty high place on that ladder and you work your tail off in 60 hours and 70 hours a week and then you realize one day that you’ve been climbing a ladder on the wrong wall. That can be really disconcerting. I don’t believe there are any accidents. When we met and you were in that place where your confidence was lacking. You’ve come so far from there to here and it’s a lot more than just the PIVOT process that’s helped you to do that. Share with us where you’re at today and what are you enthusiastic about? How does the process play a role even ongoingly now in your development and anything you want to share about that? The more you give to others and the more you give of yourself, the more monetary value will come to you. There’s so much more room for growth. I just know this now. I will continue to grow until the day I’m no longer here. There’s always room for change. That’s what exciting to me. If I can turn this all around in about a year’s time, imagine where I’ll be in a year’s time. A 24-month turn-around total, it can be life-changing not just from a financial perspective. I believe that anything financial comes with what you’ve been able to do from a service standpoint for others. No matter what industry you’re operating in. The more you give to others and the more you give of yourself, the more monetary value will come to you. It’s been like that all the way straight back to the history books. I feel like I’m in a very good place that will continue to get better, to continue to build. Will there be storms that will arrive? Of course. Will there be trials and tribulations? Of course. Is there a perfect business? Not that I’ve ever been able to see in the world today. As long as you’re accepting of that as I am, as I was not prior, I felt I needed to be perfect and for anybody, if you have ever felt the same way I did, almost OCD-like, things have to be the perfect way. What I’ll share with you from an entrepreneurial standpoint is it doesn’t and it’s okay to mess it up. Along the process, you’ll learn more from your failures and you’ll learn more from the things that you mess up than you will from your winnings. If you’re always winning, how do you know if you’re growing? Those little wins. I love what you said about service. My recommendation is if you’re listening to this, if you can write it down, remember it, put it in your phone, put it on your iPad or whatever it is and this is the question, “How can I contribute more? There’s no question that we can ask where we do not receive an answer. That much I know is certain as I know my name. It’s cause and effect. It’s sowing and reaping. It’s natural law. It’s a law of question and answer. You will always get an answer. The only thing I don’t know and can’t tell you is when you get the answer. That’s been my experience. Sometimes it’s quick, sometimes it’s right away, sometimes it’s a week or a month or a year or sometimes it’s longer than that. Here’s a question for all of us, “How can I contribute more?” That’s what Brett is sharing with us because that is one of those magic ingredients to seeing things change for the better especially in our finances, but in every area of our life. Brett, what would you say to somebody that’s considering getting started in a process like this? Whether it’s to get started directly in the PIVOT process to find out more about that, take some of the actions you’ve taken. What would you tell or say to somebody that’s considering that? If it scares you, do it. If there’s an ounce of fear that says, “I’m not sure. What if? How can this make me better? What will the outcome be?” If there are questions like that that you’re asking or that are developing in your mind, then that is every reason why you should pursue it. Whenever there’s fear that means there is some success around the corner. Before you can reach that door, you’re going to have to face it. If you’re looking at wanting to change your life, wanting to change your business, wanting to change your relationships, it’s all going to start and end with you. If you don’t change, nothing will ever change. If there’s an opportunity knocking, open it, take hold and be open-minded because everybody can win at life as long as you’re willing to be accepting to the things that are going to come along with it. Finding the Real Me Again: Whenever there’s fear that means there is some success around the corner. We resist change and it’s that resistance often that is the sticking point for so many people, the resistance. It has been for me too many times to count. That’s one of the practices and that’s one of the new rituals. You see challenge and you see even the risk of failure as a creative opportunity. That’s a catalyst for growth and even transformation which is a big, big word. Brett, this has been personally just a joy to hear you speak about your business and your life and where you’re at right now. I say that not in taking even a fraction of any credit for it. It’s just the fact that this is what drives us. This is what drives our team that we get to facilitate something. We call this PIVOT process that has certain predictable results that are part of it. That’s the joy of it. If you’re a chef, you’re a cook and you have a beautiful recipe for something and you mix the ingredients together, you put love and attention to it. You sprinkle all those things in and there’s a predictable dish at the end of the day, at the end of that process that you know is going to nurture people. To hear you speak about how this process and this recipe has nurtured you and hopefully contributed something beautiful and meaningful in your personal life as well as your business life, that’s just the joy. I appreciate you sharing your thoughts and your great wisdom with all of us, with our community. Thank you. You’re welcome. Thank you. I appreciate you and I’m very grateful for inviting me to come and be a guest here on your show. I’m really excited about this year and the years to come and having the chance to just continue to learn and work with you. I’m very grateful. Thank you so much. This year is a year that we’re thematically looking at business not as usual, life not as usual. If that resonates with you, if you want this coming year to be not as usual, we’re going to break free of whatever it is that we call the status quo, break free. Break out of what is the comfort zone. That comfort zone, it’s the comfort trap more than it is anything else and we all know what that feels like. We’re going to break free business and life not as usual. I’m going to send out tons and tons of blessings to all of you. We love this community. You can find us in so many places but if you haven’t yet subscribed, subscribe to the podcast. You can go to Start My PIVOT Community on Facebook, go to PivotFB.com. That takes you right to the front door of that Facebook community where you’re going to meet a lot of people just like Brett. People that are pivoting, people who have been really authentic, even vulnerable about what’s been working, what’s not working, the resources that they’ve got to share. Brett’s been able to share and coach and help other people leverage his learnings. That’s what I love so much about this community is the giving that goes on as well as the receiving. It’s just a beautiful thing. Lots and lots of love to all of you. I hope you are having an absolutely incredible day and that you wake up tomorrow morning, that there are three things had happen tomorrow for you; that you wake up that you are grateful in the moment of waking. It is such a blessing to know that as you’re taking that first waking breath, there are people everywhere who are taking their last breath at that very same moment. If you’re inclined to say these words, just practice them. Try them on for size. See if they fit for you. This is a pivot all by itself. You can say, “I love my life. I love my life. I love my life.” Ciao for now.